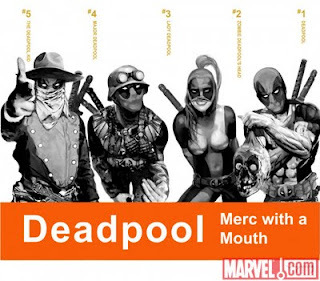 Merc with a Mouth #7 hits today! Bring money! Hiya, folks. 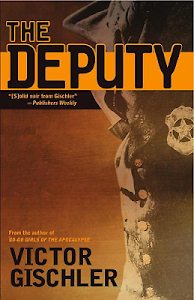 Swell fellow and Blogpocalypse pal Randy Johnson noticed that Amazon had canceled his pre-order of THE DEPUTY. A likely explanation: As some of you might remember, Bleak House Books had a bit of a shakeup and the cool editor types there formed their own outfit called Tyrus Books. Hooray! That means Tyrus will now publish my most awesome novel THE DEPUTY ... not Bleak House. Uncle Vic loves movies, and Uncle Vic likes to tell stories. So of course, sooner or later, it just figures, I was going to start trying to write screenplays. There's been no great demand from the public that I do this. 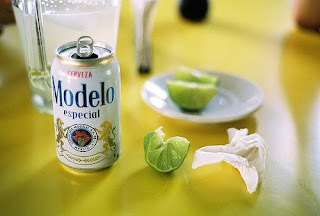 Robert Rodriguez is not waiting by the phone for me to call and tell him his next picture is ready. Nope, this is just something I've decided all on my own to blunder ahead and try. Well, maybe not completely all on my own. When pal Anthony Neil Smith and I were in grad school together, we met every Monday night for a cheap six-pack and puked out a ridiculous pulpy crime screenplay. And more recently, A. Neil and I have collaborated again on another project which we hope comes together. I also wrote a feature based on my own short story "Silent Harvest" which was optioned by a producer in New York. 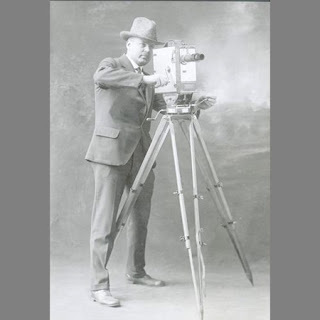 Silent Harvest -- the screenplay -- is intended to be a very inexpensive, small independent film. The screenplay I just finished is a big step in a more commercial direction. Details to come at a more appropriate time. At the moment, what I want to say in this blog post is that I've learned a lot. I feel like all of these screenplays could make great films but I also feel like I've been going to Screenplay State University. The first draft of this most recent screenplay was actually done back in October. The director/manager/producer team I've been working with have been champs and true professions. I implemented the first round of notes, sent it back, and got a second round of notes. Did those too. Then they said "Let's show it." I'm excited. Do I think I've graduated from Screenplay State University? Probably not. I still feel like I'm bumbling around, but, frankly, I usually feel like that no matter what I'm doing. Yesterday was "formatting" day for the screenplay. To my eyes, even a perfectly formatted screenplay looks like a cluttered mess. Hey, not my problem. If that's how it's done, then that's how I'll do it. I'll tell you more when there's more to tell. In case you hadn't heard, my 4-issue run of FRANK CASTLE THE PUNISHER: WELCOME TO THE BAYOU is now available as a trade paperback. Punisher is a character I've always enjoyed and was my introduction to comic book writing. 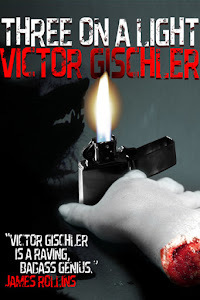 I'm especially flattered by the blurb on the cover: "Gischler's Punisher is terrific. More of this sort of thing, please." -- Garth Ennis. As most of you probably know, Ennis is the definitive Punisher dude. 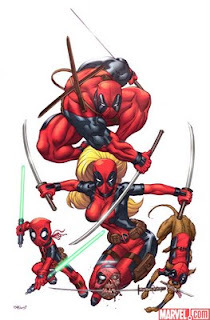 Man ... so cool. The trade also features my Punisher one-shot "Little Black Book." Remember folks, these are adult "MAX" titles, so keep them away from kids and pets. Special thanks to artists Goran Parlov, Jefte Palo, Dave Johnson and the entire Punisher crew for making me look good.